One witness, who works as a medical assistant in Boston, heard the fatal car accident and immediately ran to the scene, where she performed CPR on the victim. However, despite her best efforts, she was not able to prevent his untimely death. When reporters interviewed her, she said she felt like she was trying to save her own child. She said everyone around her was yelling at her not to touch the victim but her instinct and training kicked in, and she had to do whatever should could to save his life. She said while he was not breathing, she was able to feel a pulse and started to perform chest compressions until first responders arrived to the scene. It supposedly took first responders around four to five minutes to get to the deadly car accident scene. As for the accident itself, witnesses say the two cars crashed into each other, and at least one of the cars was pushed on the sidewalk at the intersection of New England Street and Talbot Avenue. The young victim was riding his bicycle and was hit by at least one, but possibly both, cars and fatally injured. Witnesses also say there was so much damage and debris at the scene of the fatal bicycle accident that it was a few minutes before anyone even noticed the teen victim, as he was covered with parts of the vehicles. Authorities also took defendant to the hospital, where he was treated and released and is expected to be arraigned at the Dorchester District Court. It is important to note, defendant is presumed innocent unless and until he is proven guilty in a court of law as these are only allegations of criminal conduct involving a fatal car accident. 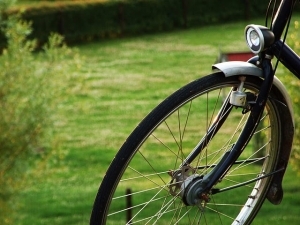 As our Boston bicycle accident attorneys can explain, following a serious or fatal accident, the family will likely be contacted by alleged at-fault driver’s insurance company and, in the case of a criminal charge, by the police and/or prosecutors. It is helpful to speak with your own car accident attorney before giving any statements, as this may affect your rights in a personal injury lawsuit.